Is your tap water safe to drink? Unfortunately, as discussed in the article Is Your Water Safe?, it may not be. Because unhealthy levels of contaminants such as bacteria, lead, and pesticides are found in both metropolitan and well water supplies, it’s important to know whether pollutants exist in your water. And, if they do, you need to know how to supply your home with clean water. 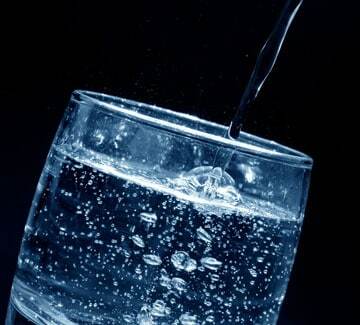 Buying bottled water is the quickest and, initially, cheapest way to get clean drinking water. But over the long haul, it is far more expensive, and plastic bottles are wasteful and an environmental blight. Producers of bottled waters are regulated by the same standards imposed on public water systems and are also self-regulated by the International Bottled Water Association. Club sodas, carbonated waters, seltzers, and waters containing more than 1 percent flavoring are not covered by these standards. 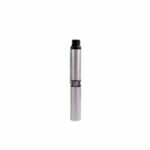 Simple carbon filters attach to the faucet, polishing taste and removing some contaminants. Effectiveness of a particular carbon unit is a factor of the amount of activated carbon it contains. You can buy whole-house, under-counter, countertop, and faucet-mounted styles, but the $30 faucet-end models are only marginally effective. Known as point-of-entry (POE) systems, whole-house units are recommended where a contaminant such as radon poses a threat to the entire household. 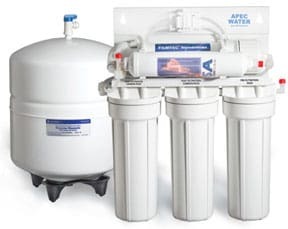 If you must remove inorganic chemicals such as salts, metals (including lead), minerals, nitrates, asbestos, and some organic chemicals, consider a reverse-osmosis (RO) water filter. Most RO filters are connected directly to plumbing and are located beneath the sink. A small tank stores clean water until needed, and tainted water drains out through a line connected to the sink trap. Drinking water flows through a special, separate sink-top spout. Some models have an automatic valve that eliminates the waste typically associated with RO filters—conventional models waste about 3 gallons for every gallon of water they produce. They generally cost from $200 to $400. 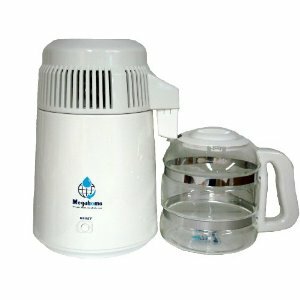 Countertop water distiller purifiers water by turning it to steam. If you just want a portable, sink-top appliance that will rid water of most dissolved solids, such as salts, asbestos fibers, metals, minerals, particles, and some organic chemicals, an inexpensive water distiller may be just the thing. Distillers heat water until it turns to steam and then condenses the steam back into water in a separate chamber, leaving behind anything that won’t travel in the steam. Unless coupled with a carbon filter, they will not remove all chemical pollutants and all bacteria. Most have to be filled manually, they use a considerable amount of electricity to operate, and they may take several hours to produce 1 gallon of water. Prices range from about $80 to $400—most popular models are about $200. Ultraviolet (UV) disinfection water filters, which typically cost $150 or more, may kill bacteria and viruses, and clear the taste and odor of water, but they are not effective against chemical pollutants and may not work against cysts and spores. UV may be combined with carbon filters to kill bacteria; these units tend to cost from $300 to $700. With the popularity of water-treatment devices, a number of manufacturers have introduced products that integrate water systems seamlessly into the kitchen. 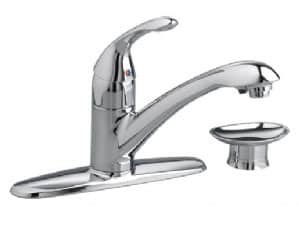 For example, American Standard makes the Streaming filtering faucet that works with an under-sink filter to deliver filtered water through the main kitchen faucet. 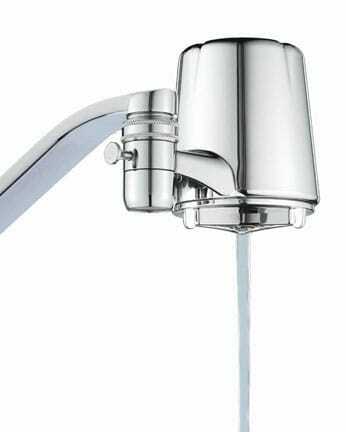 Filtering faucet delivers filtered water right through the main tap.